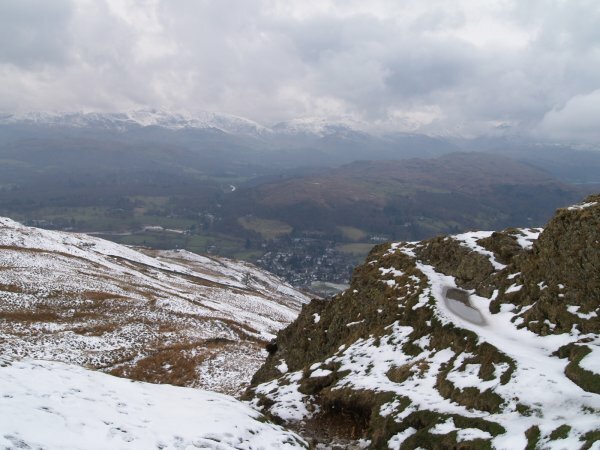 A general view from Loughrigg Fell of Ambleside and Lake Windermere. 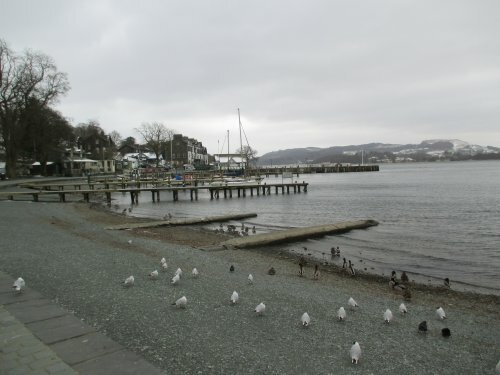 The Windermere lakeside in Ambleside, not too much activity in winter! 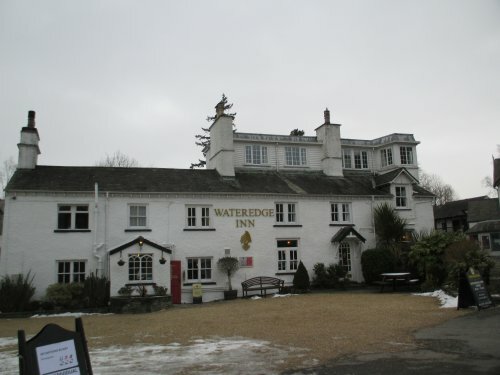 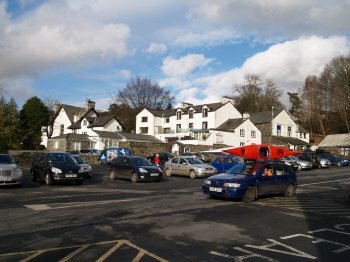 A very grey day in Ambleside in March 2018, the very popular and very busy Wateredge Inn lies somewhat silent. 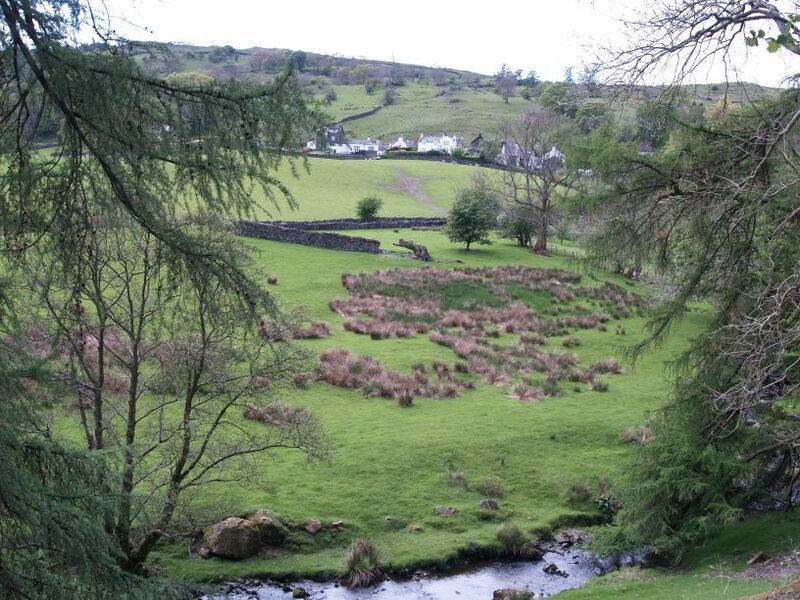 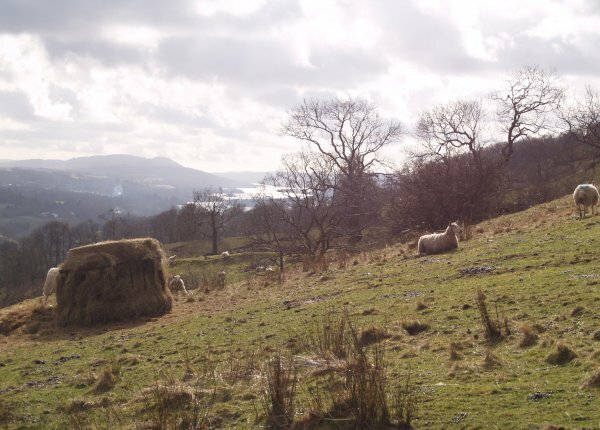 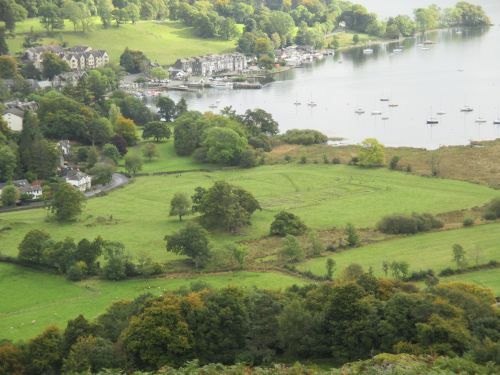 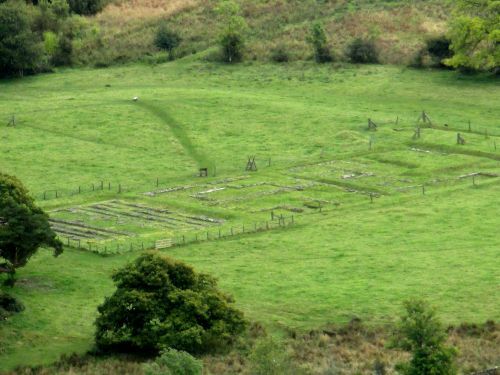 The site of the Roman fort at Ambleside [Latin name Galava, occupied from ~AD 50 to AD 350)] - view from Loughrigg Fell. 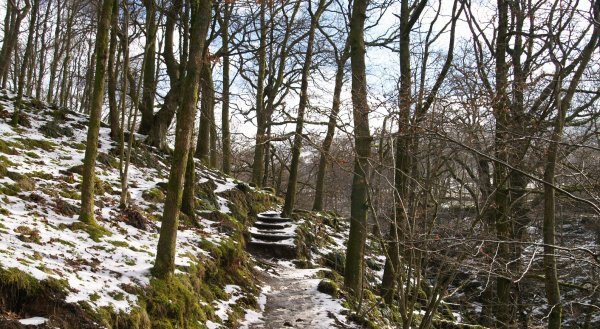 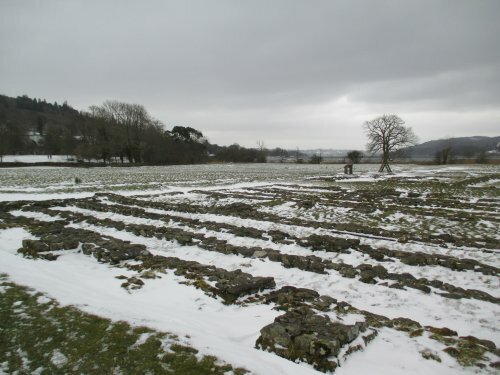 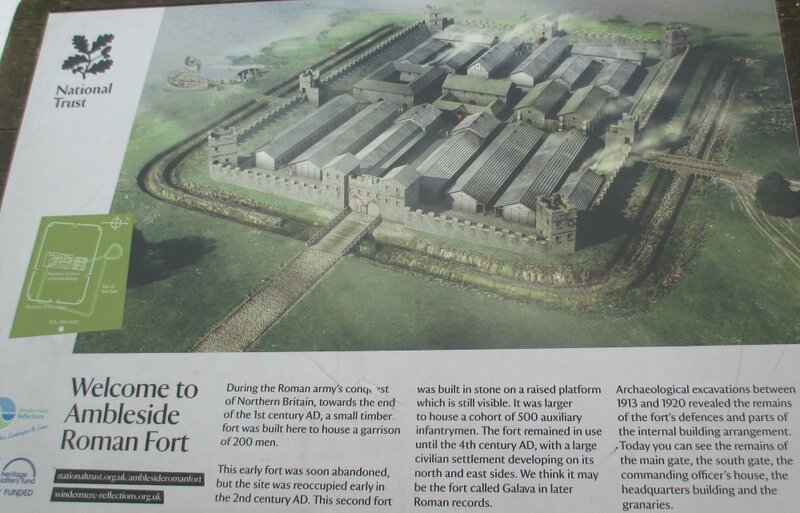 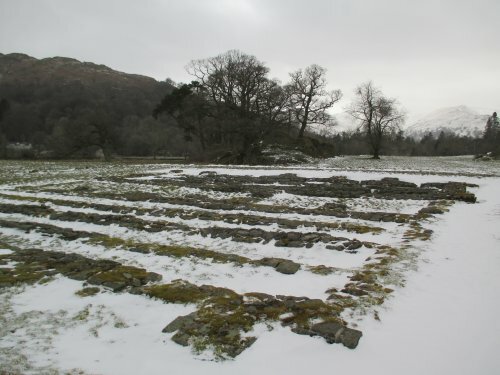 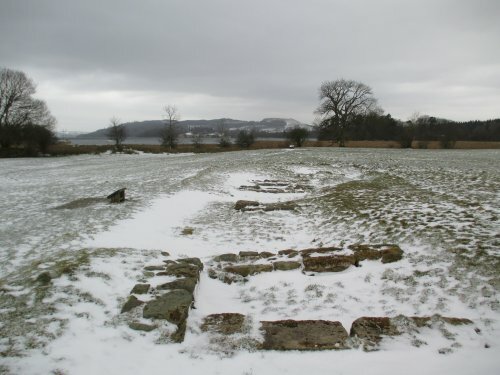 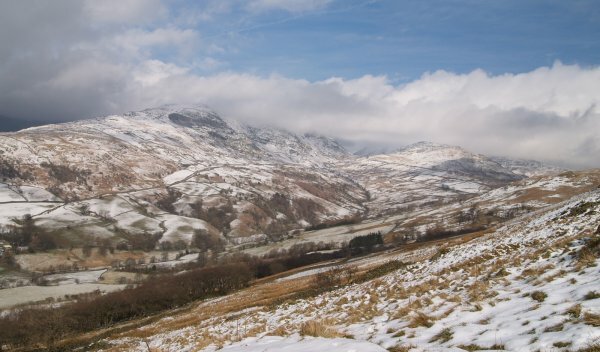 The Roman fort at Ambleside with all the ancient foundations dilineated by light fall of snow. 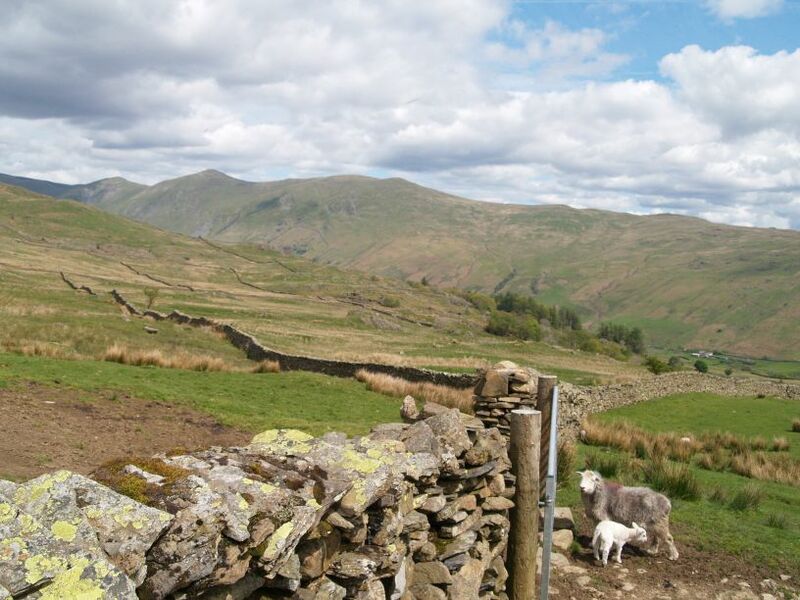 This most lovely 'hiking' walking was based on "Great Walks - The Lake District" 2.13 WANSFELL by Colin Shelbourn and supplemented by the excellent hiking Ordinance Survey OS Map OL7 The English Lakes - South-Eastern Area, but preceded by a few observations of the car journey and suggestion for parking in Ambleside. 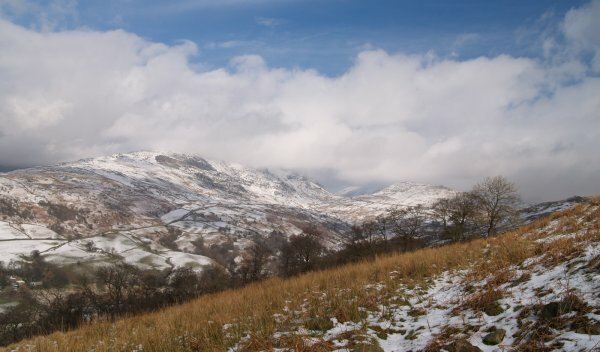 The photographs were taken at different times of the year. 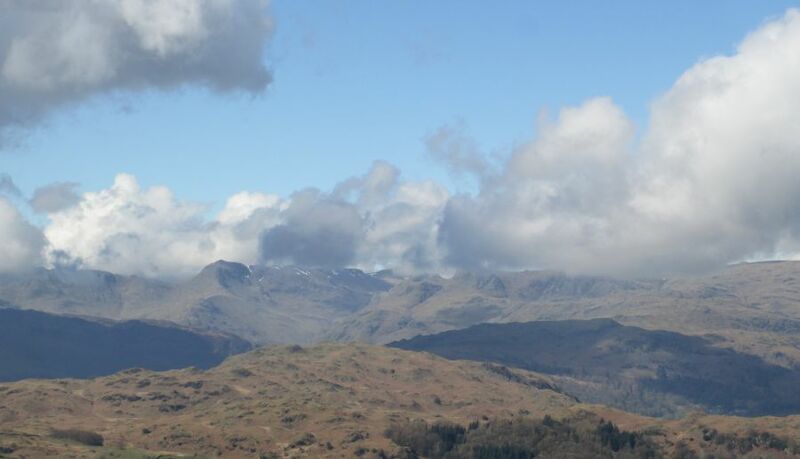 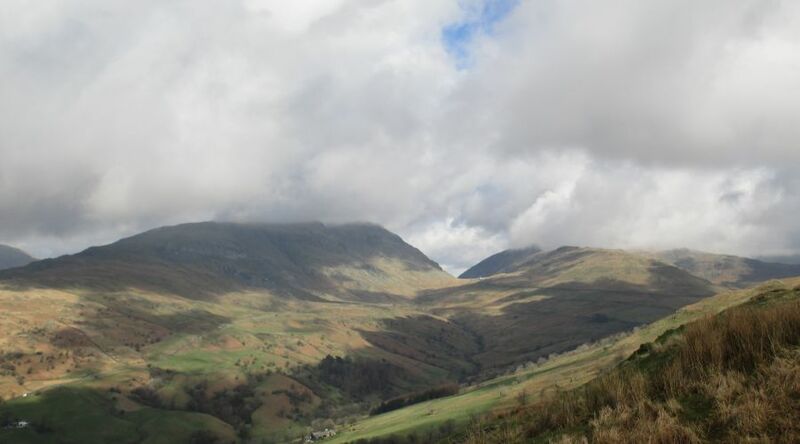 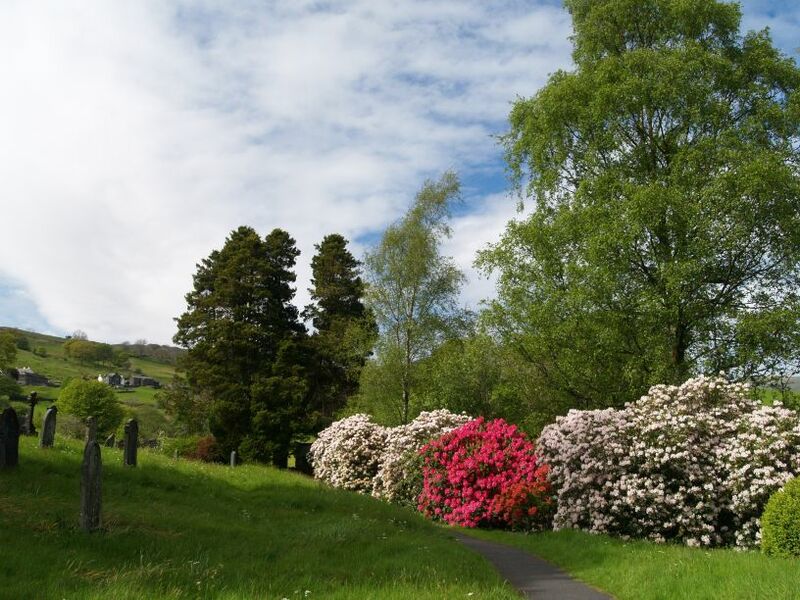 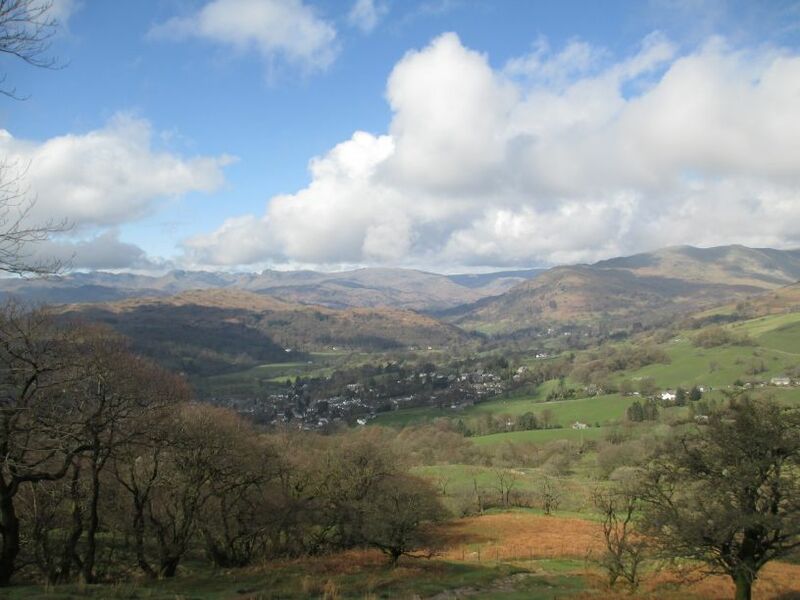 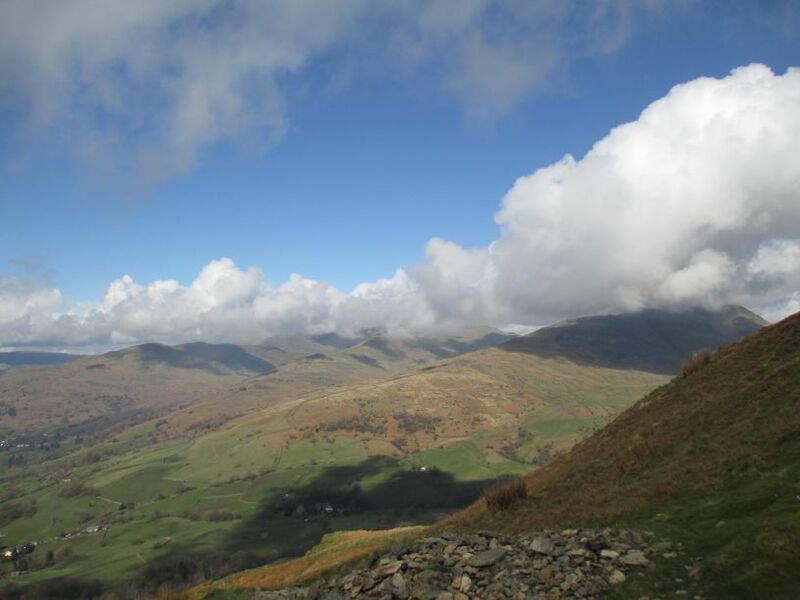 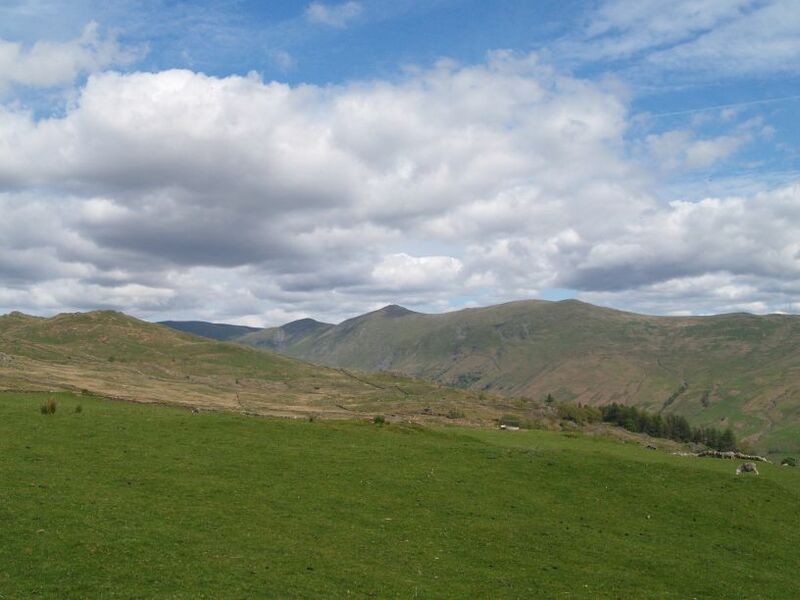 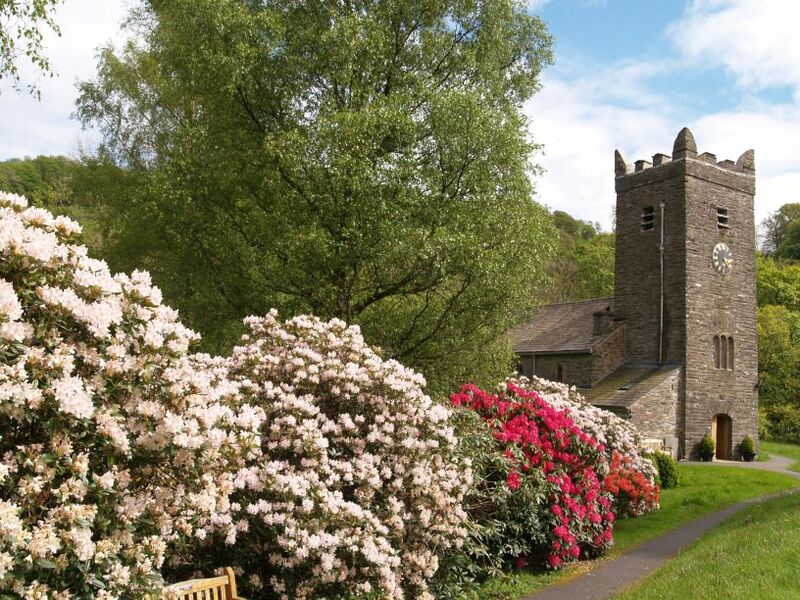 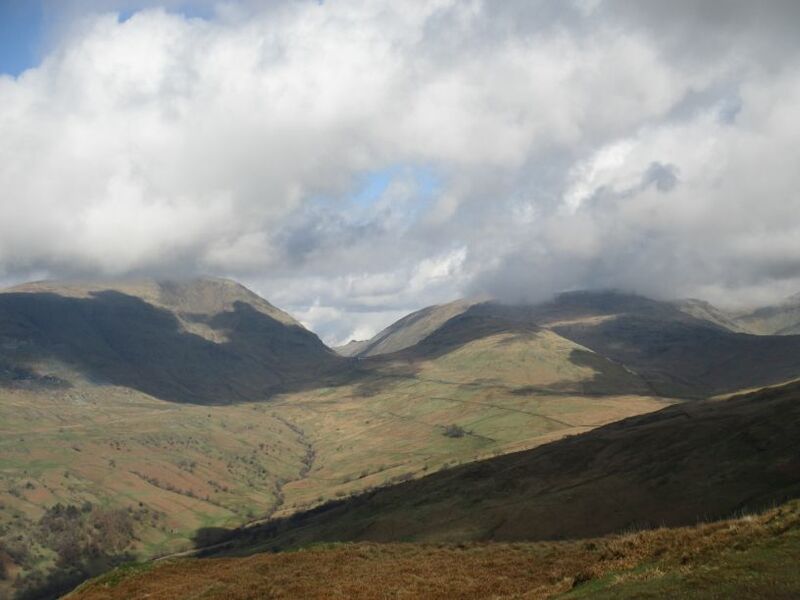 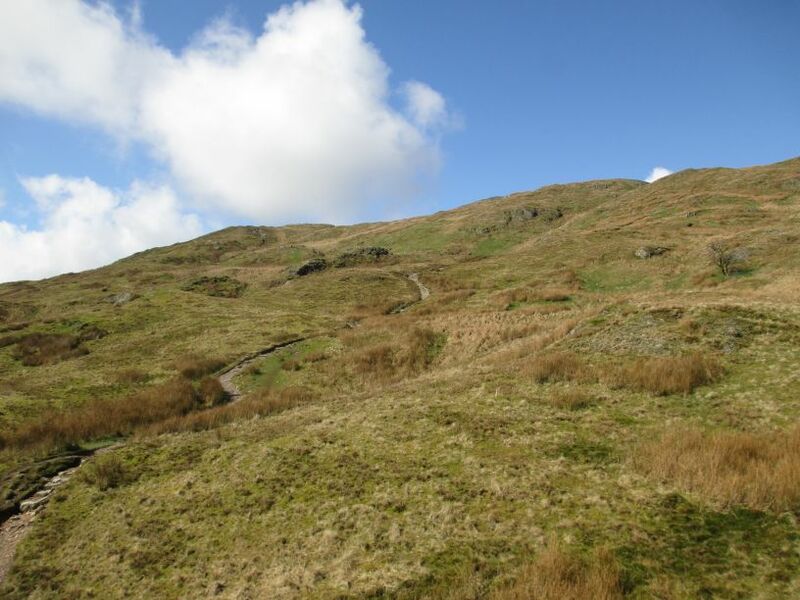 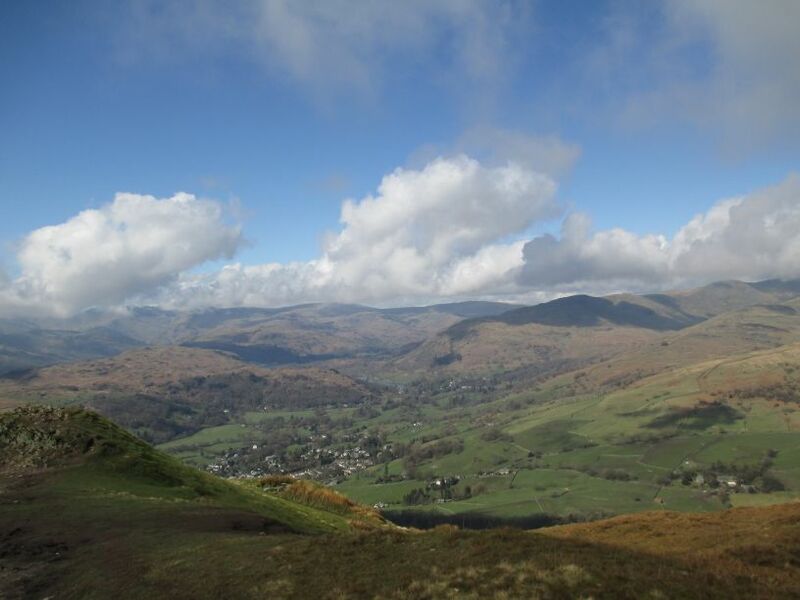 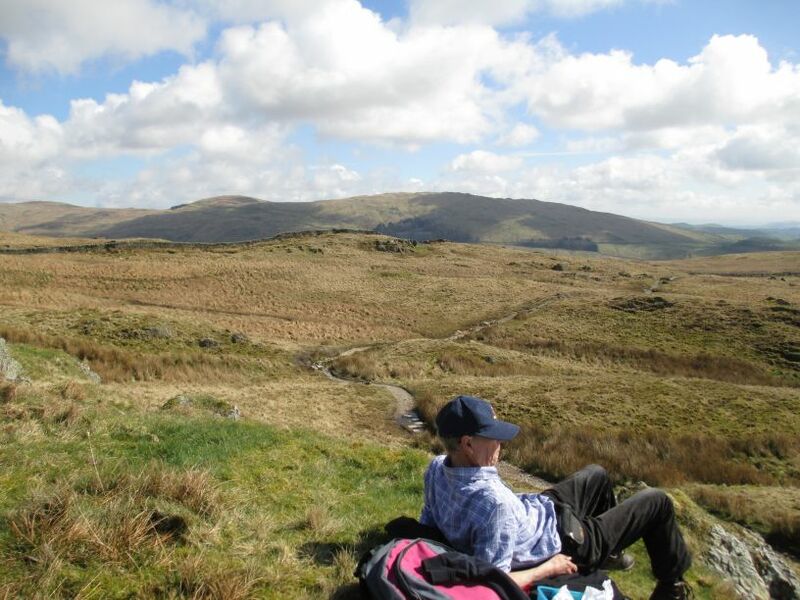 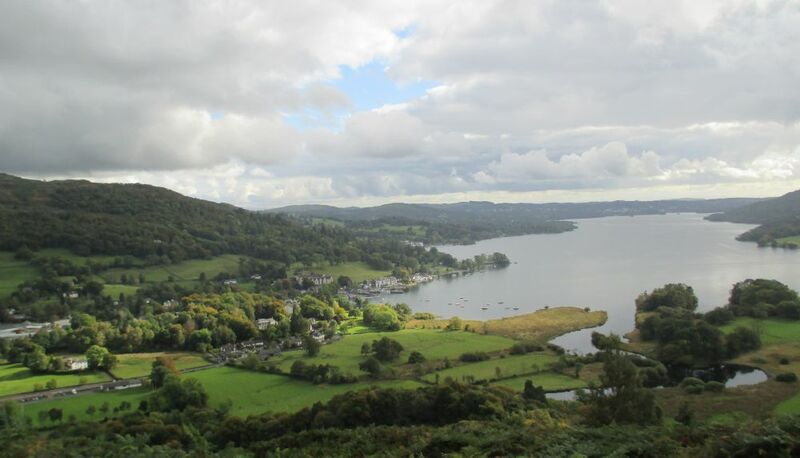 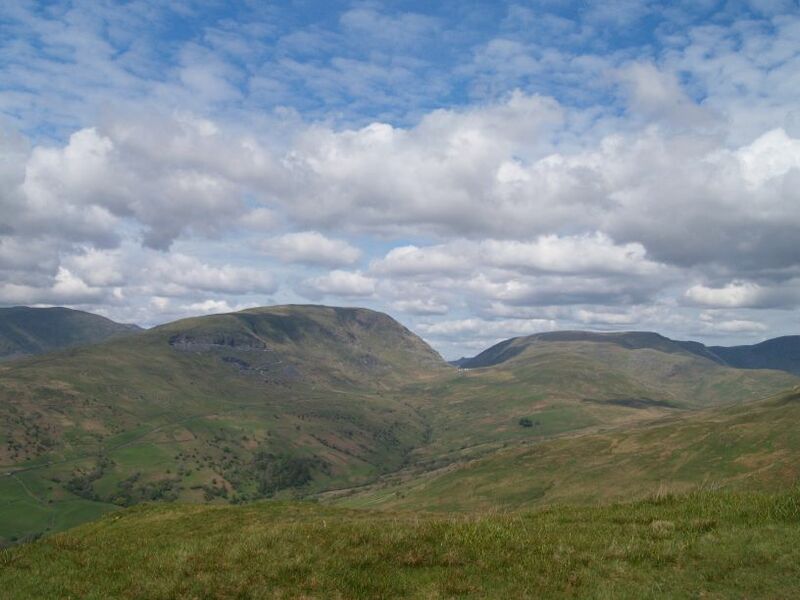 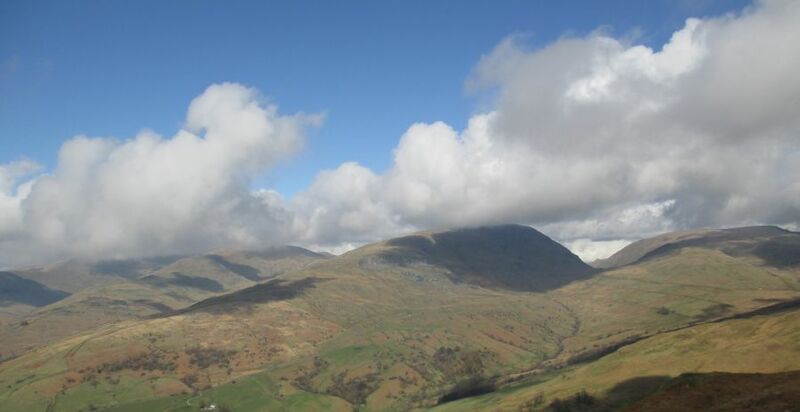 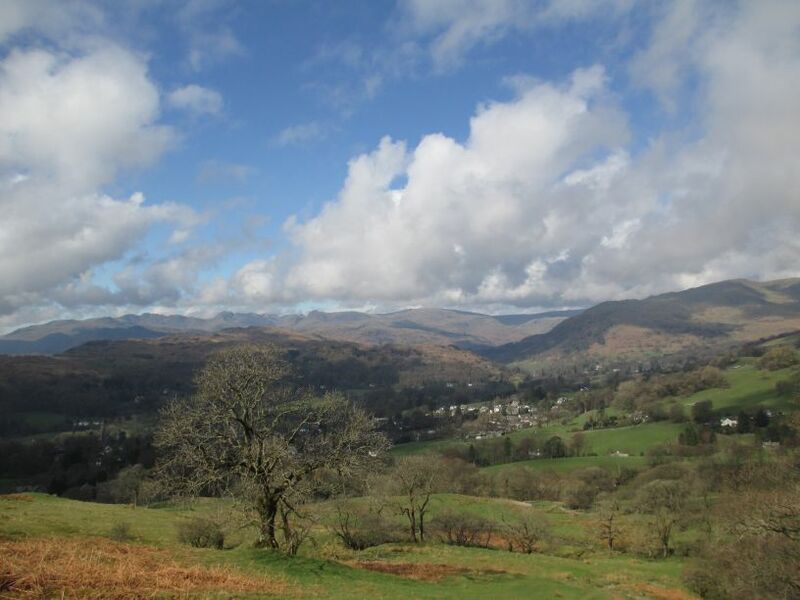 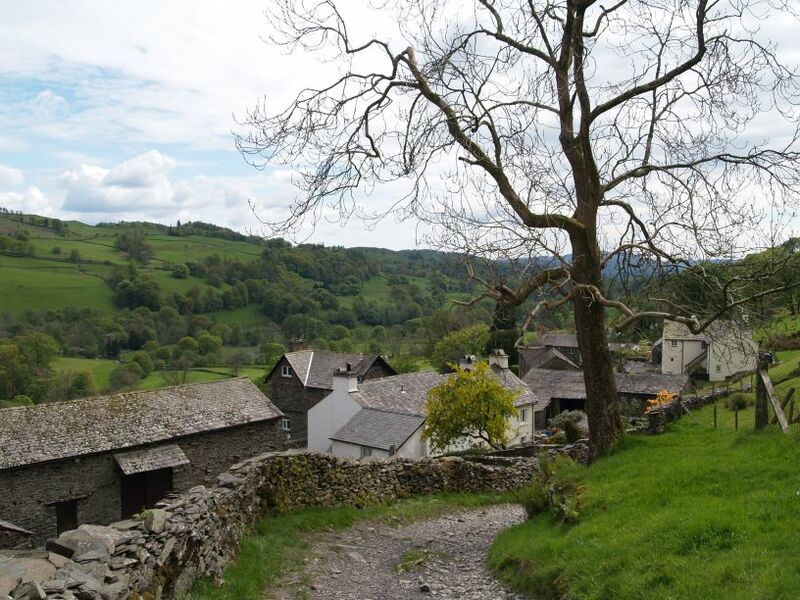 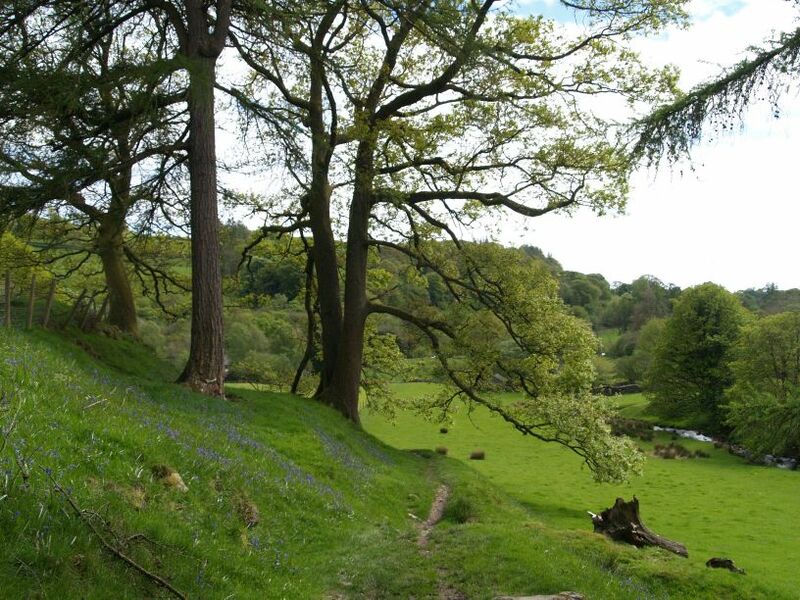 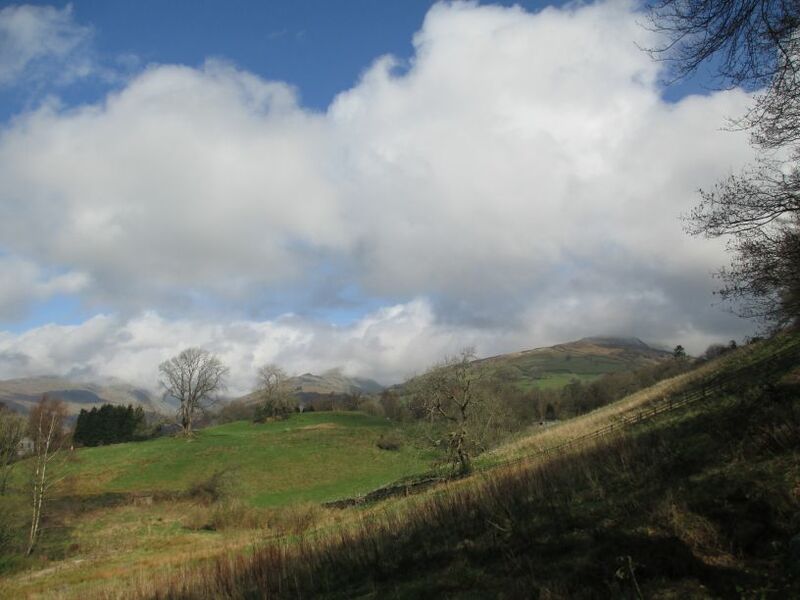 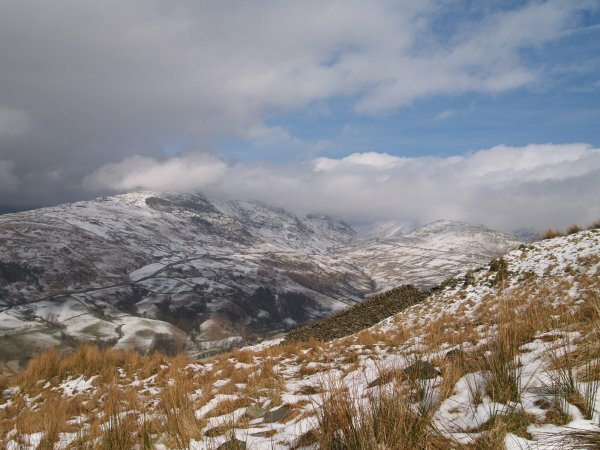 A beautiful and very worthwhile walk and bring a picnic, even if starting in Ambleside with its many cafes and pubs! 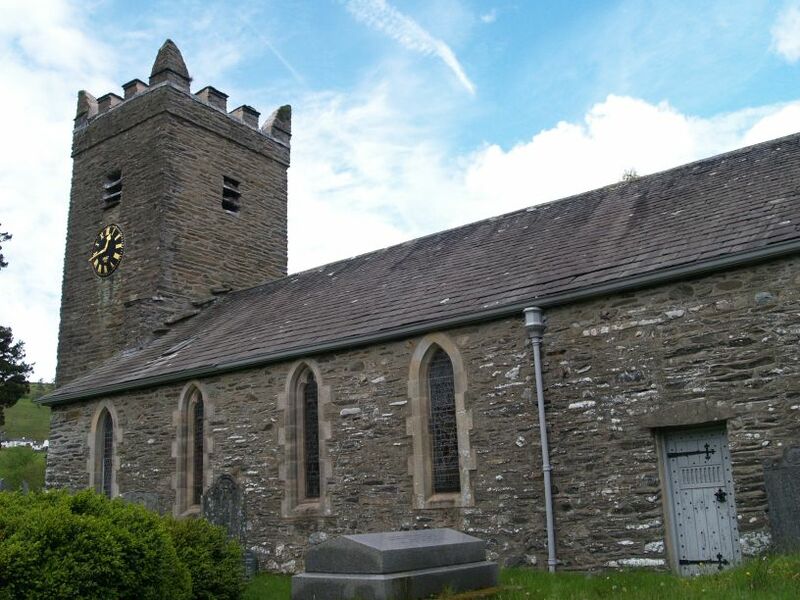 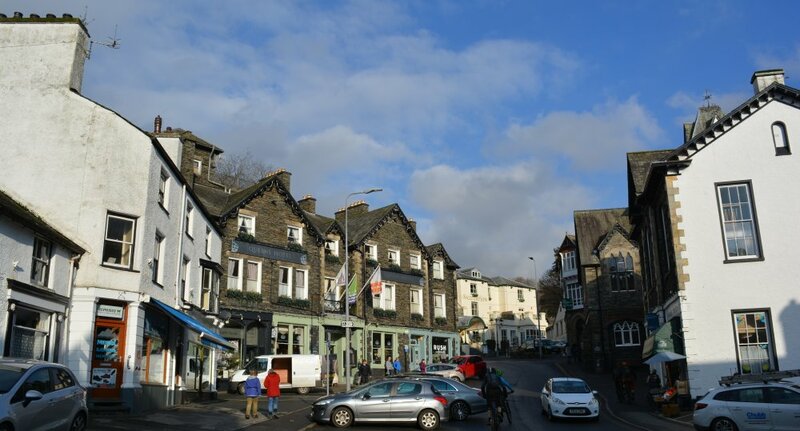 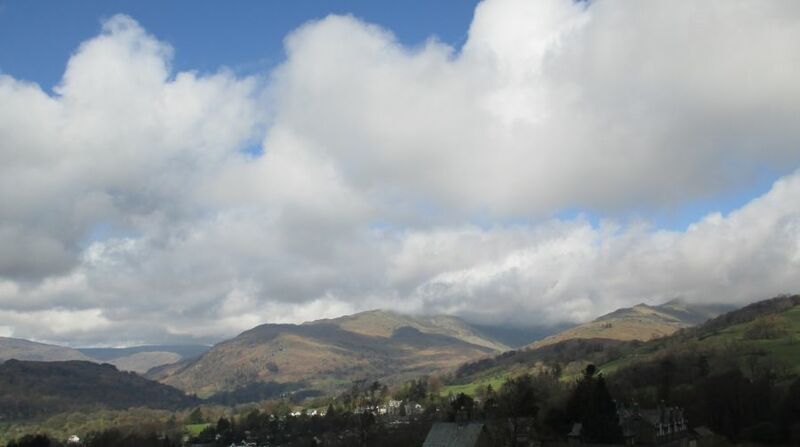 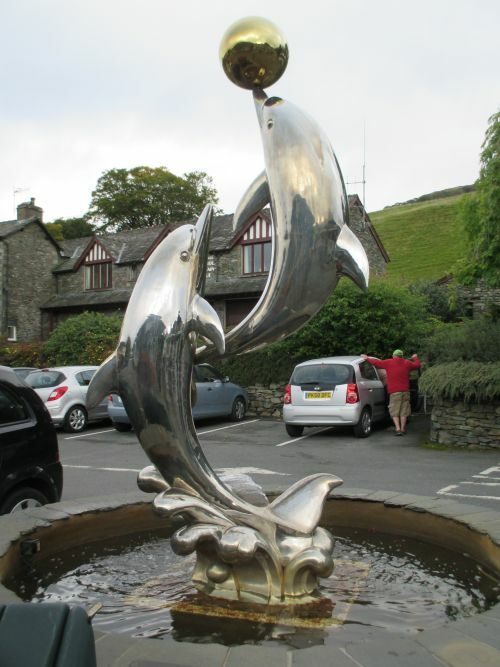 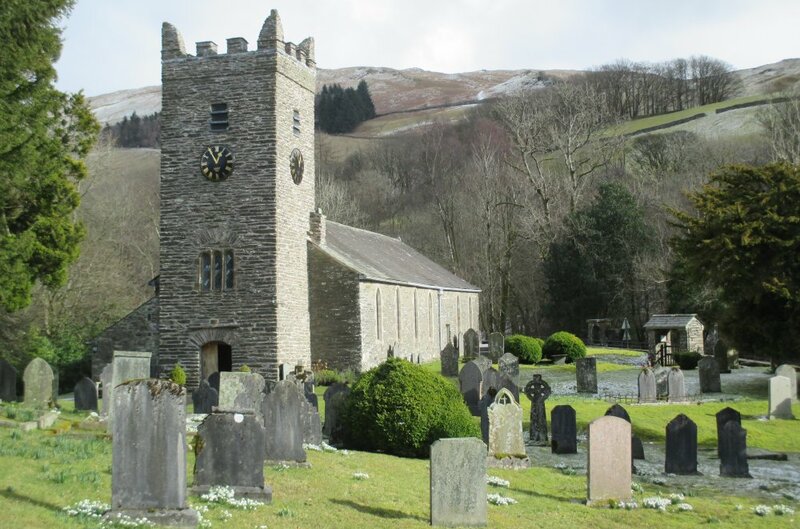 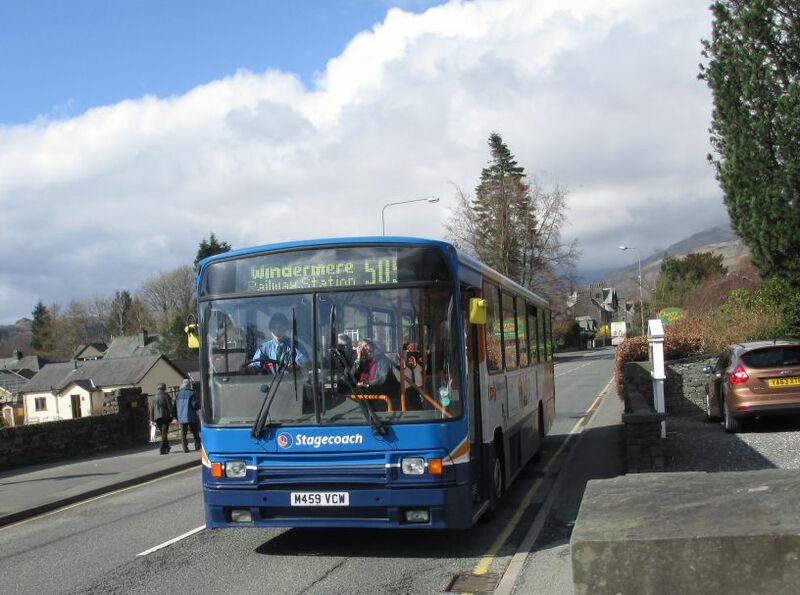 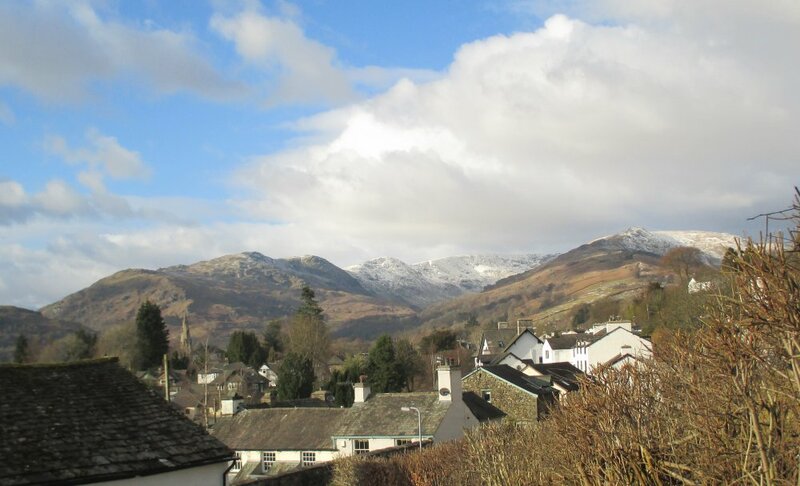 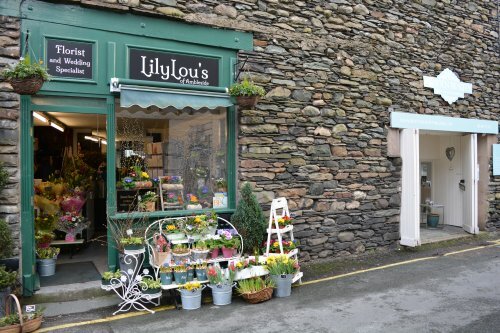 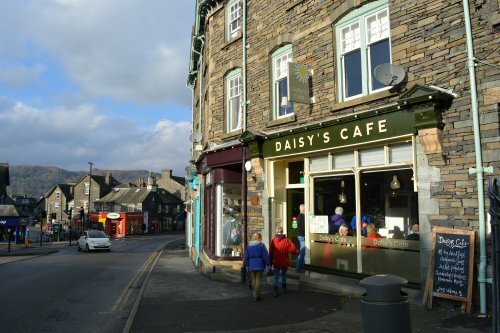 From Kendal you pick up the A591 road and head north for Windermere and further on to Ambleside. 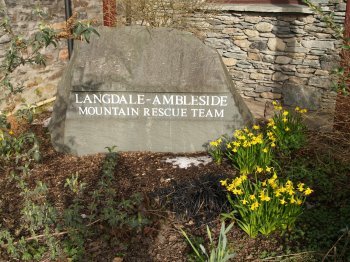 We parked in the centre of Ambleside on the east side of the A591 just north of the Langdale-Ambleside Mountain Rescue Team headquarters! 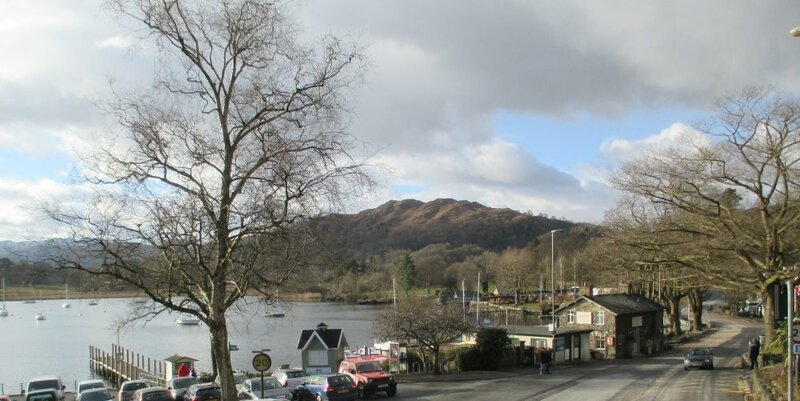 The bus stop in Ambleside where you can start the walk (actually on the opposite side of the road). 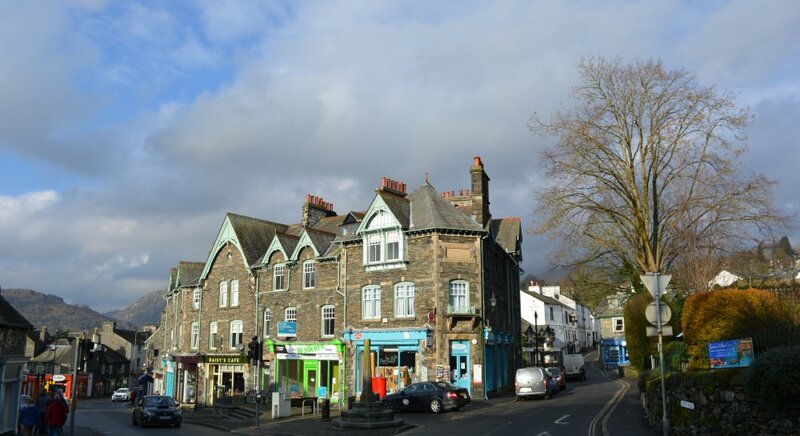 The centre of Ambleside is in the distance up the road. 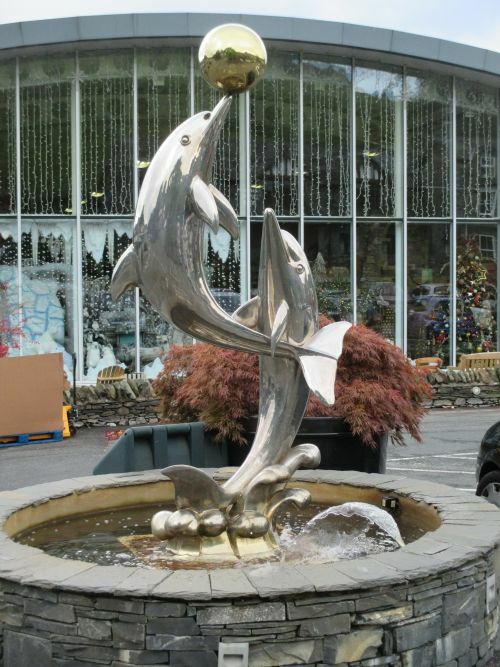 Hayes Garden Centre in Ambleside, across the road from the bust stop. 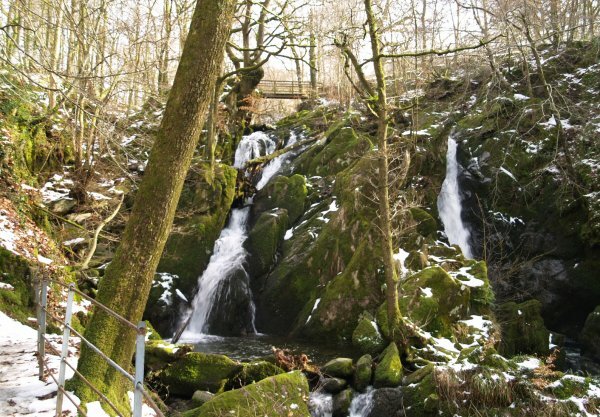 After walking up the road you head up past the Salutation Hotel up a lane and deviate through the woods of Stock Ghyll Woods to view the Stockghyll Waterfalls - very popular with the Victorians. 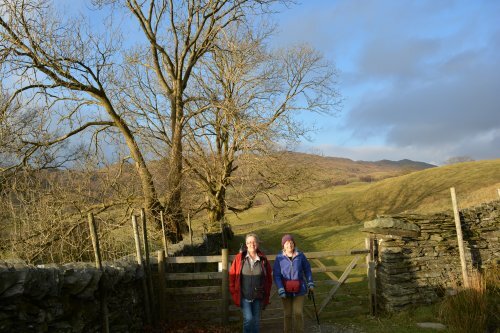 You leave the Stock Ghyll Woods and return to a lane signposted Grove Farm and turn right off it on the path up Wansfell Pike which is signed 'Troutbeck via Wansfell'. 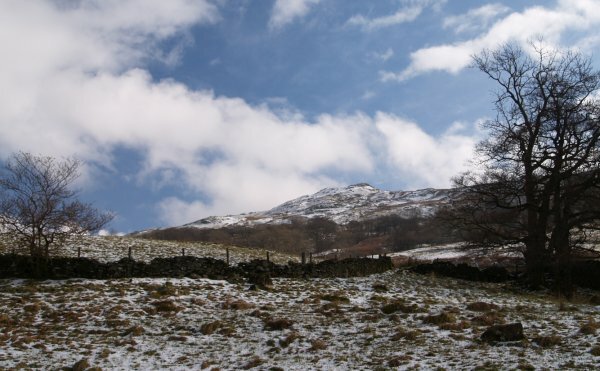 Wansfell Pike is in the centre of the picture - it doesn't look much at first, but its a 'canny' climb up! 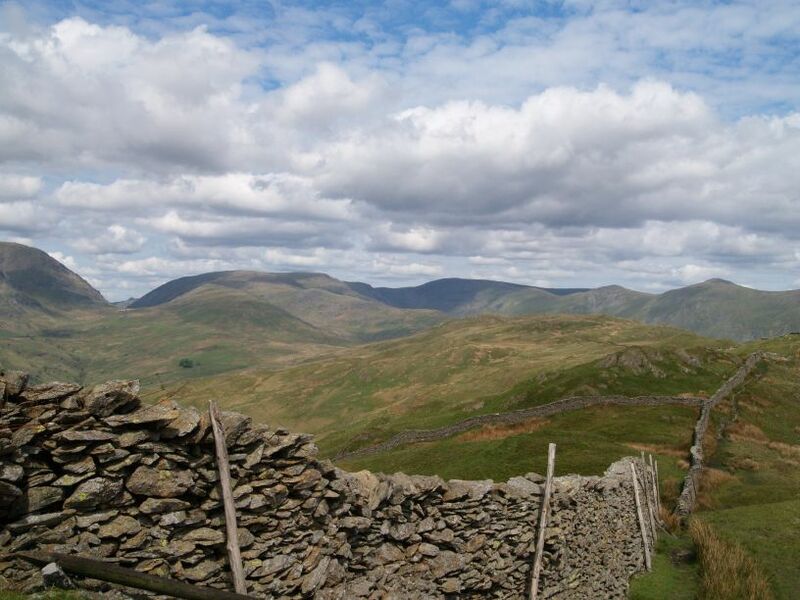 There are great views all round on the ascent of Wansfell. 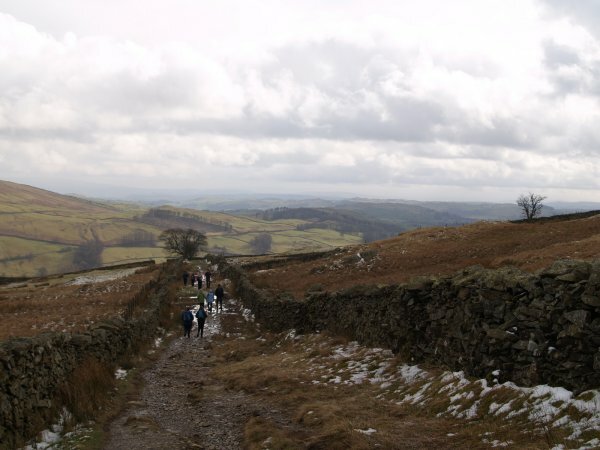 The path up Wansfell is well laid out and quite steep in place - excellent aerobic exercise and continuous superb views. 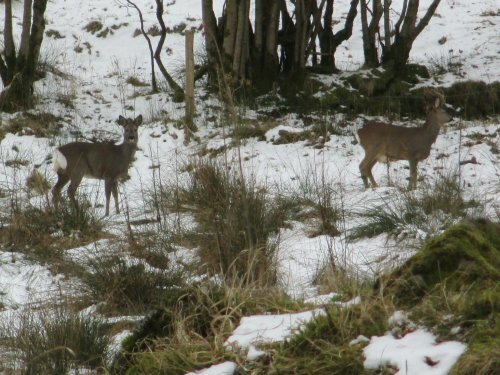 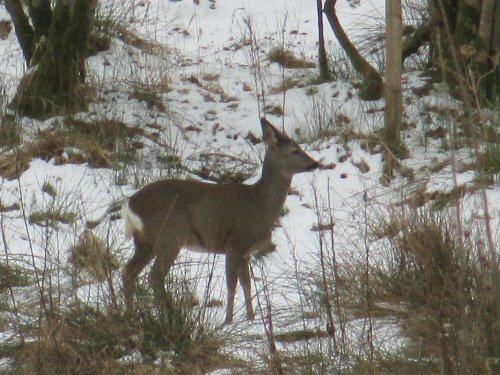 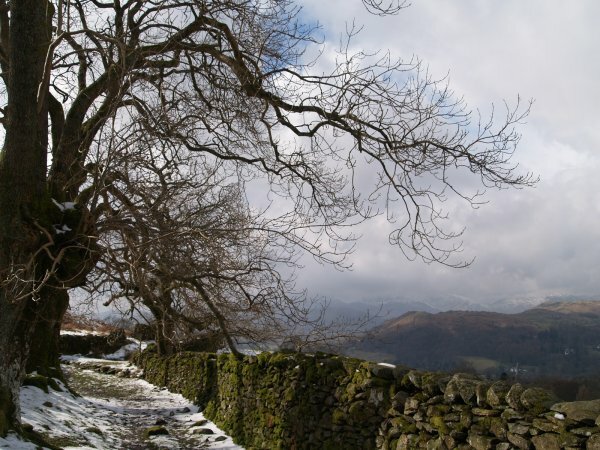 The recent light falls of snow added to the natural beauty of the Lake District. 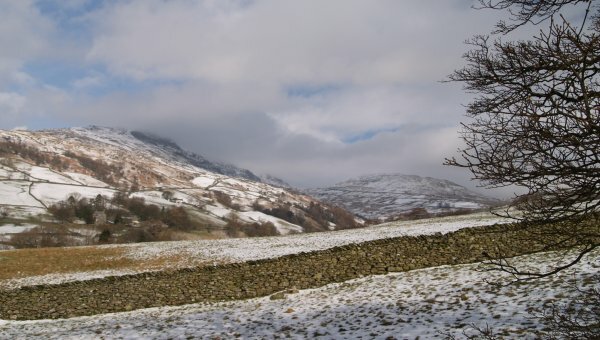 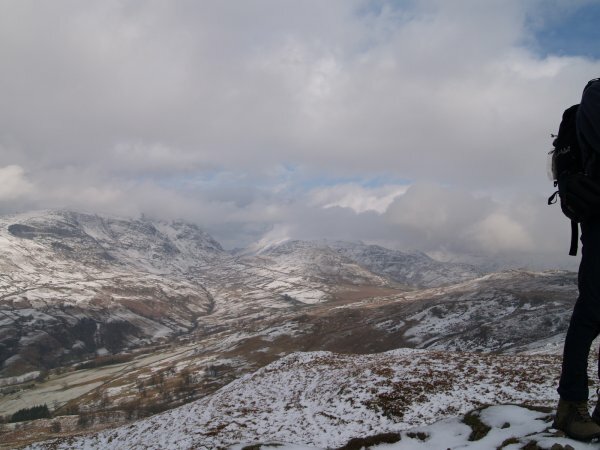 Looking north up Kirkstone Pass. 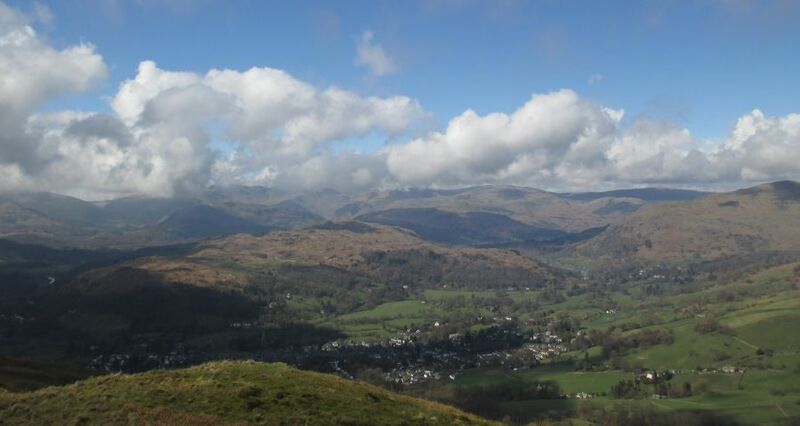 Looking back down to Ambleside. 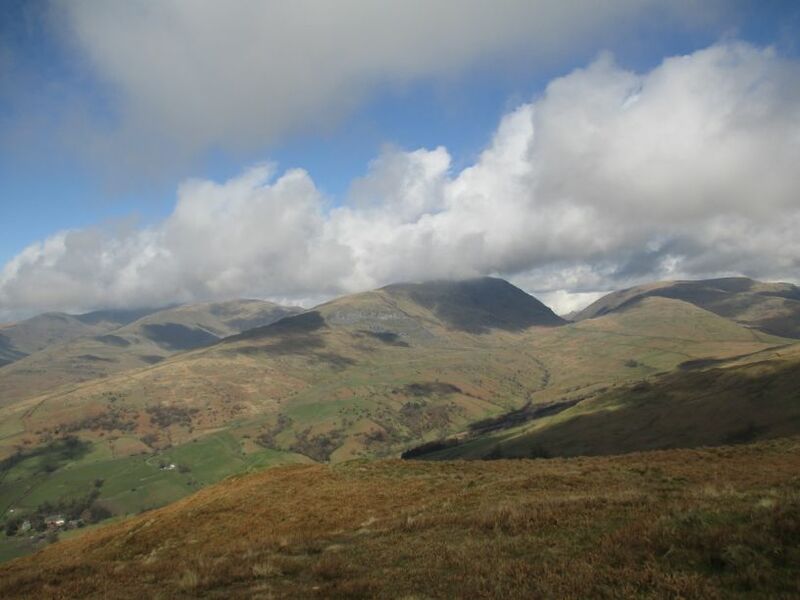 Wonderful views from the top of Wansfell Pike. 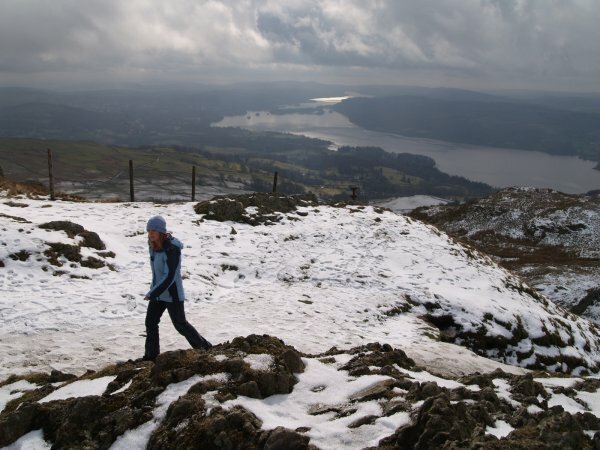 Looking across Lake Windermere from the summit of Wansfell Pike in mid-winter. 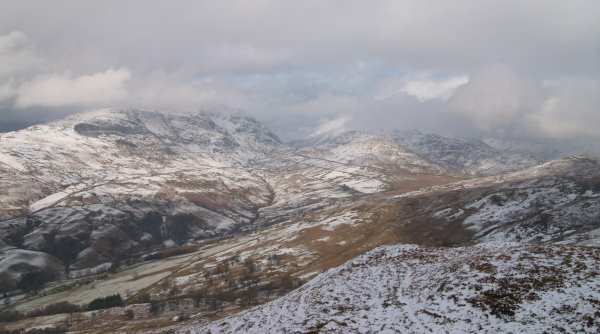 Looking up Kirkstone Pass from the summit of Wansfell Pike. 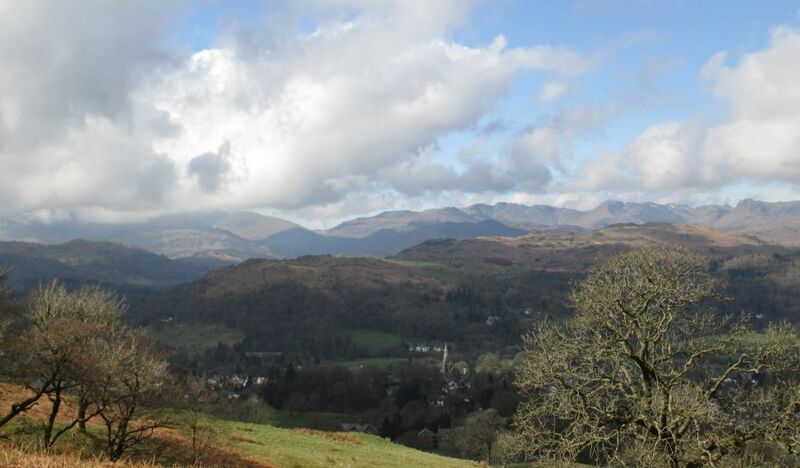 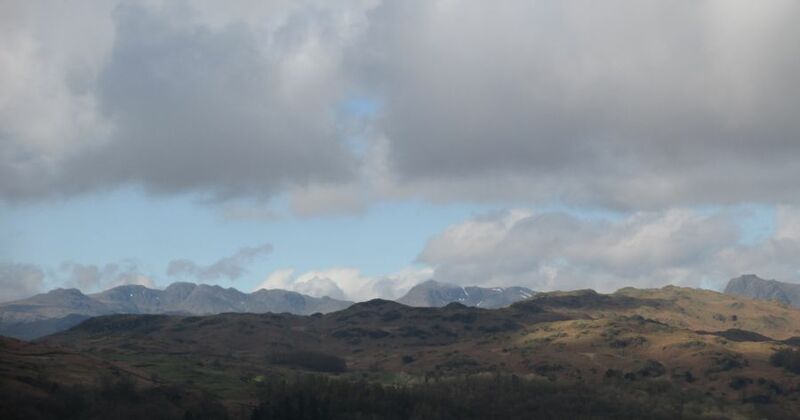 View of Ambleside from the top of Wansfell - rather cloudy on the distant peaks. 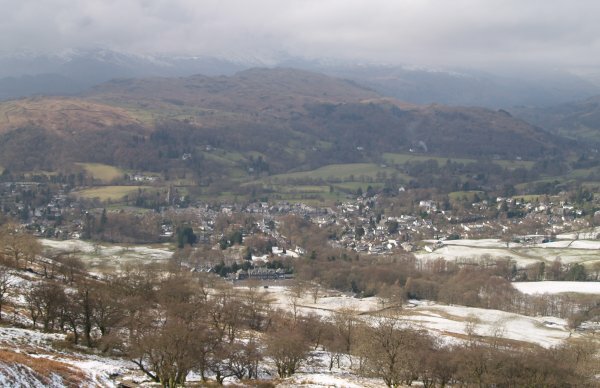 The town of Ambleside is in the centre of the picture. 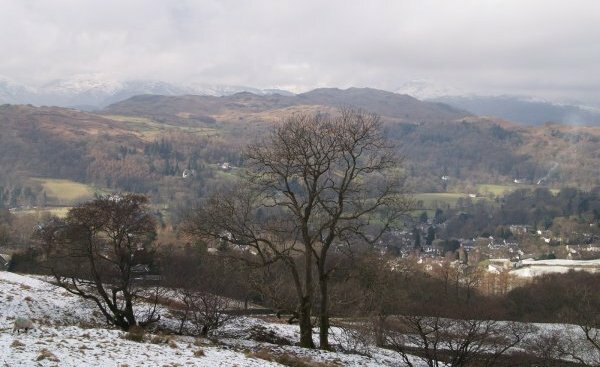 Heading down east towards Troutbeck. 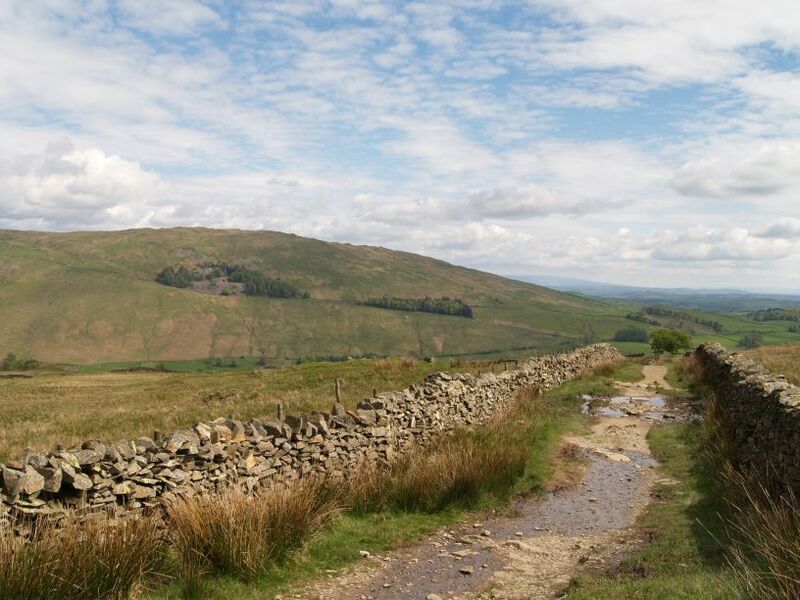 After the open moorland you head south-east down 'Nanny Lane' which is an old double-walled 'cattle drove road' I assume? 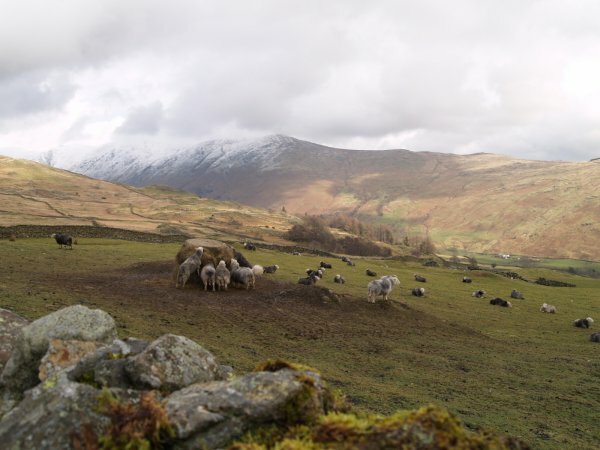 I guess the sheep will looking forward to Spring! 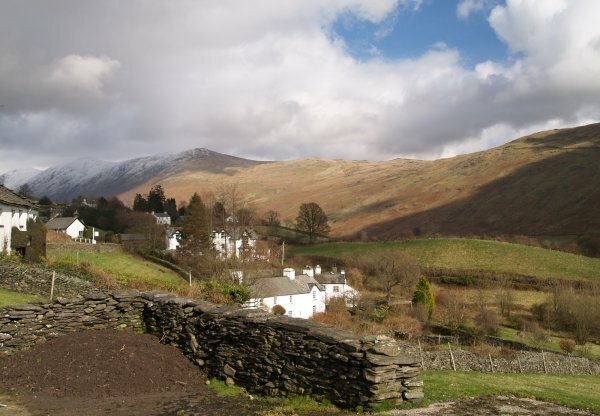 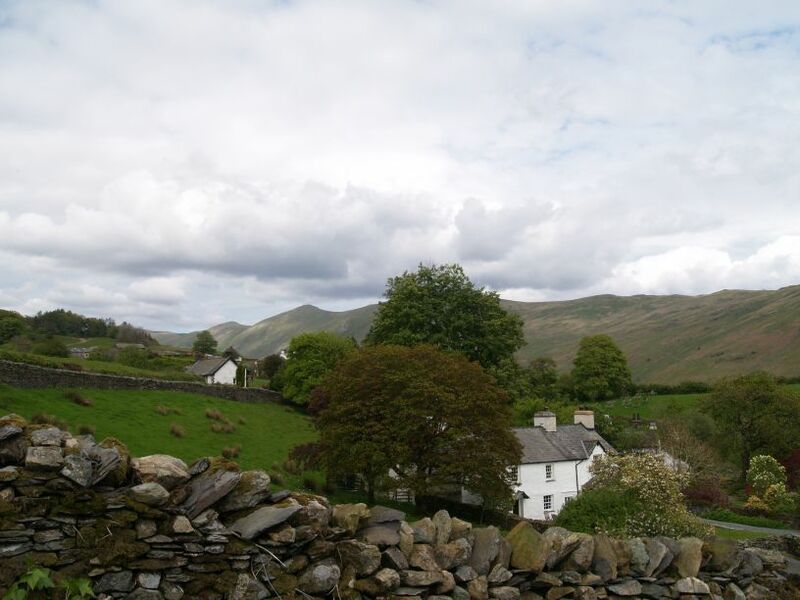 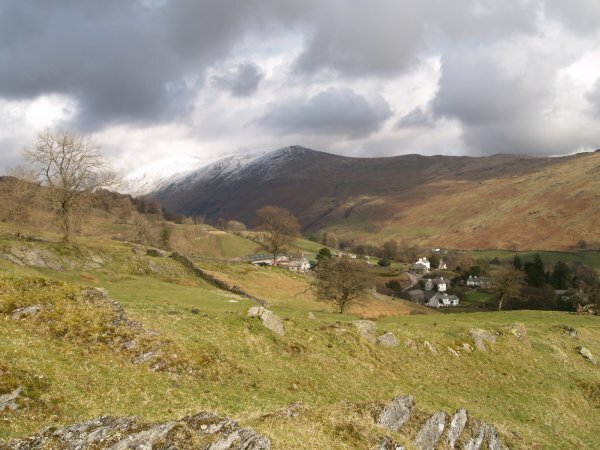 Looking north-east (above) and south-west (below) from Nanny Lane just before you drop down into the village of Troutbeck. 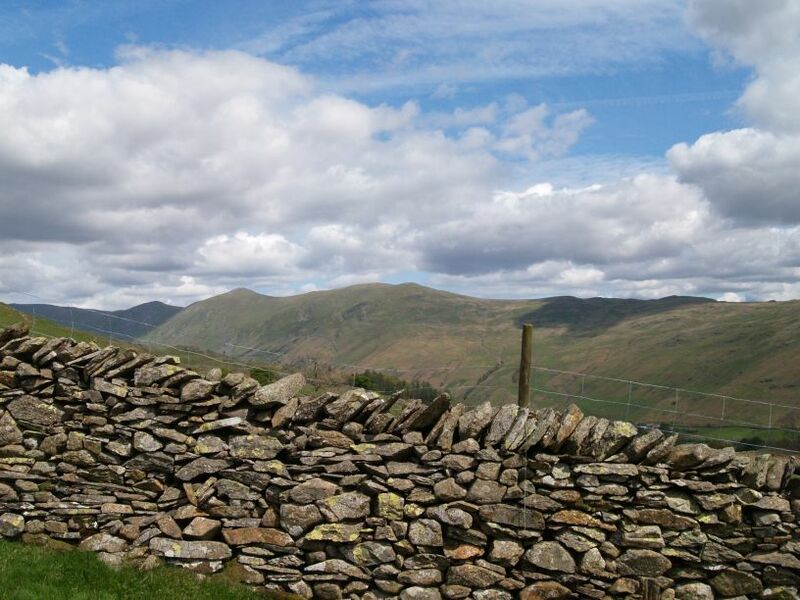 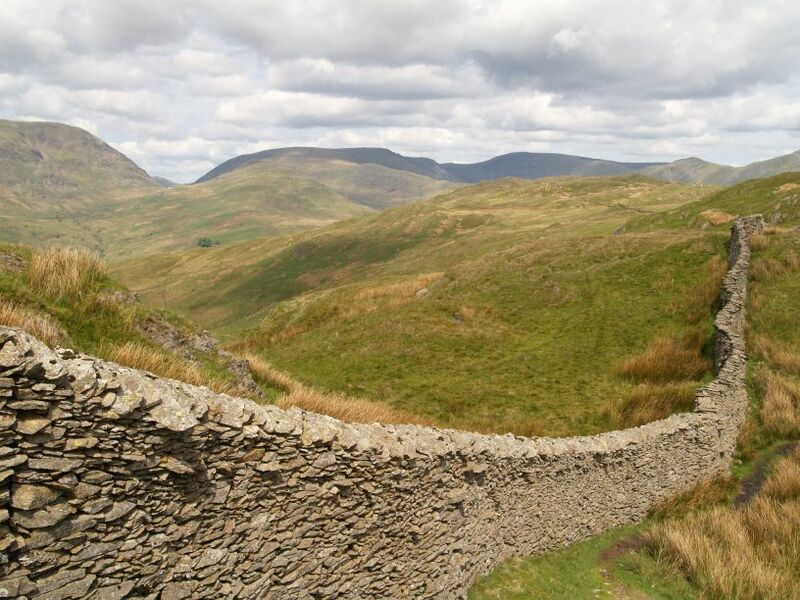 The long dry stonewall that runs northeast from the summit of Wansfell Pike. 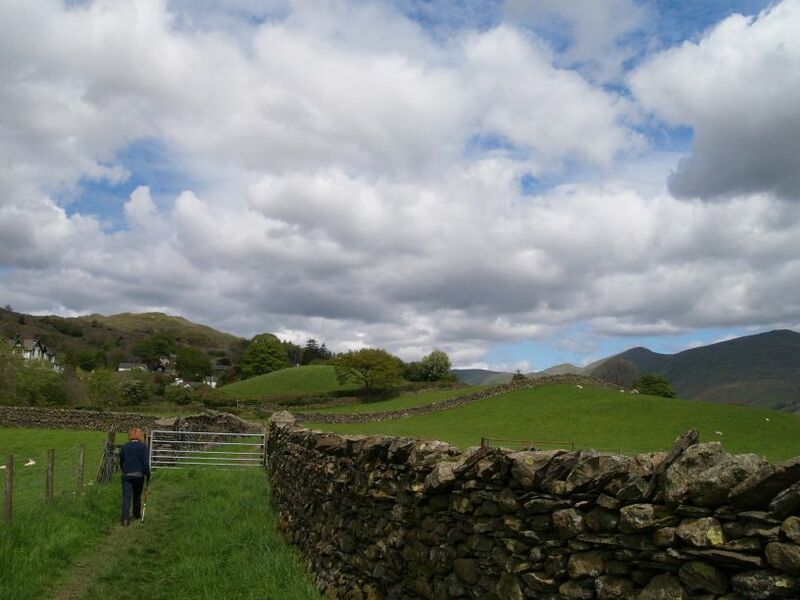 Returning back down via Nanny Lane. 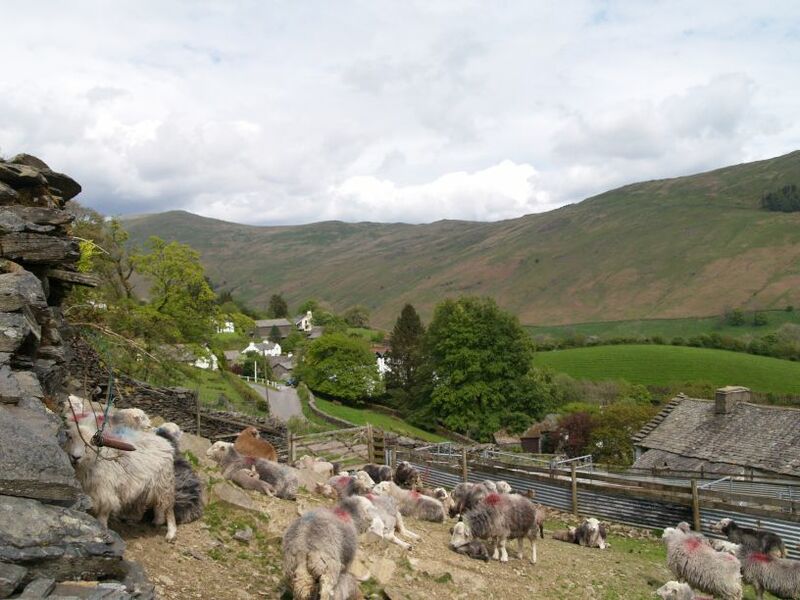 Coming back down into Troutbeck. 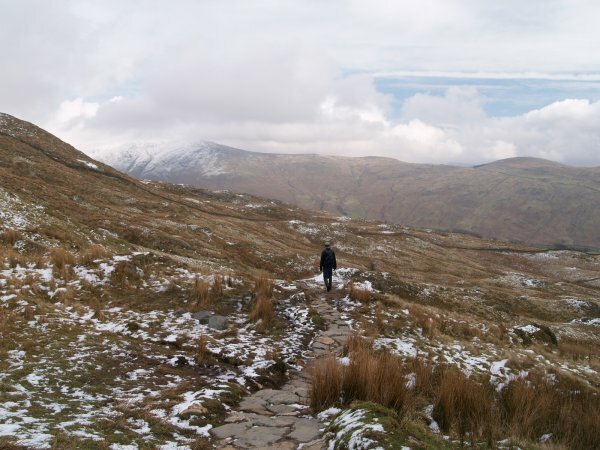 heading back down towards the church.